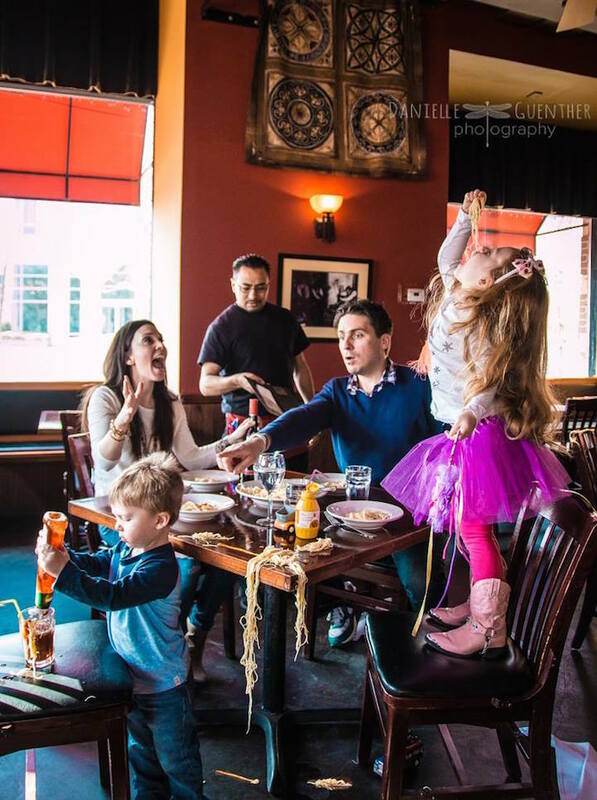 As any parent knows, raising a family isn’t always a walk in the park. 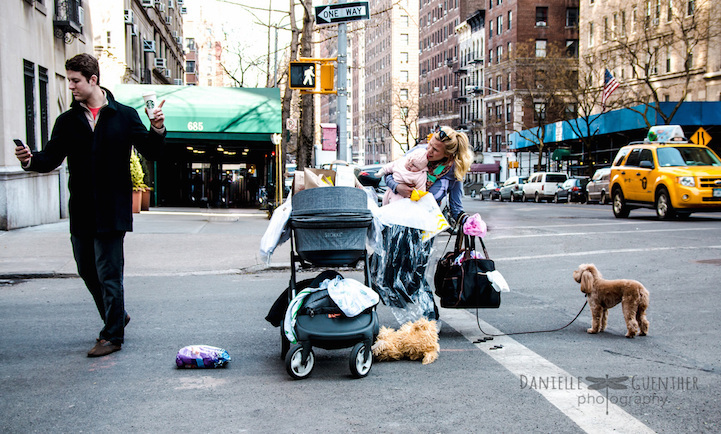 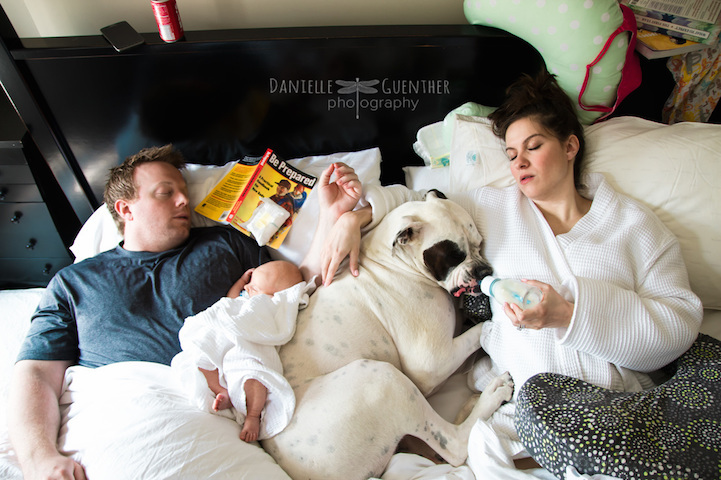 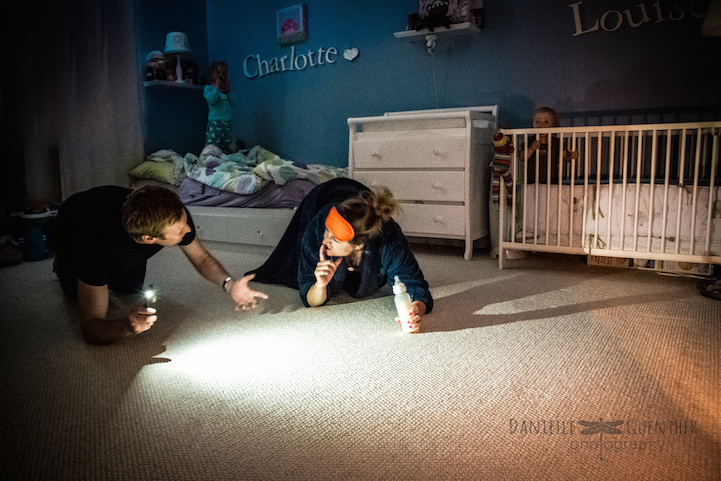 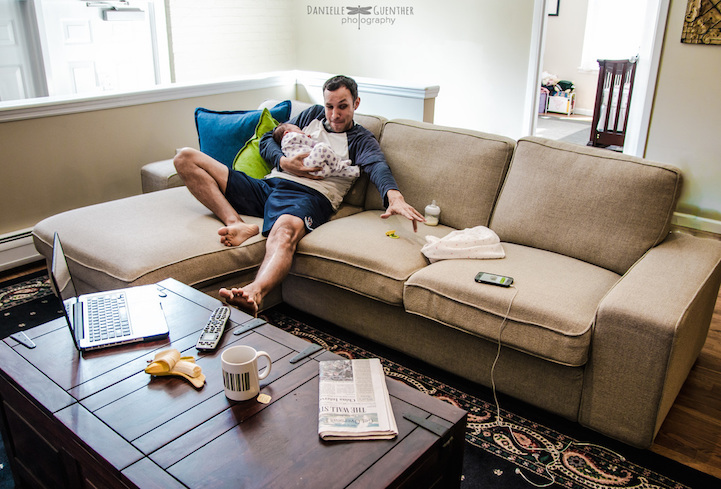 Lifestyle photographer Danielle Guenther captures this sentiment in Best Case Scenario, a hilarious series that presents some of the messy, chaotic moments of parenting in a comical light. 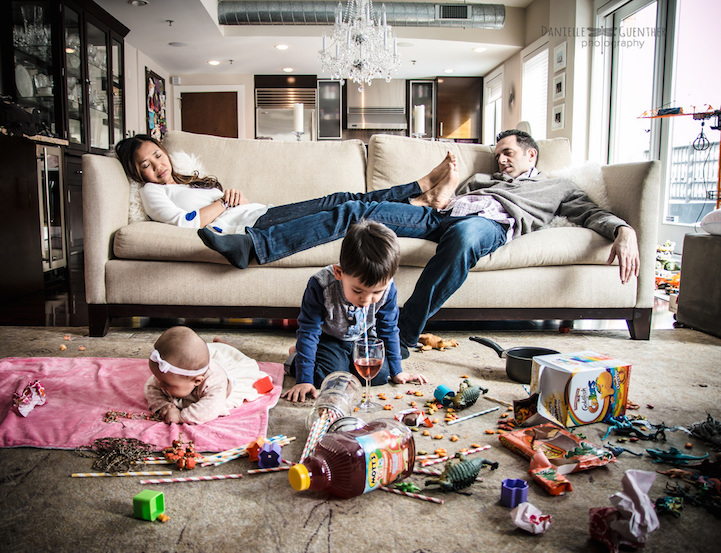 Guenther, who regularly visits different households to take more traditional family portraits, began this series after a particularly memorable photo shoot with some parents and their young kids apparently “spiraled out of control.” The photographer was inspired to strip away the pristine facade from family portraits in order to reveal the pandemonium that often accompanies everyday life with small children. 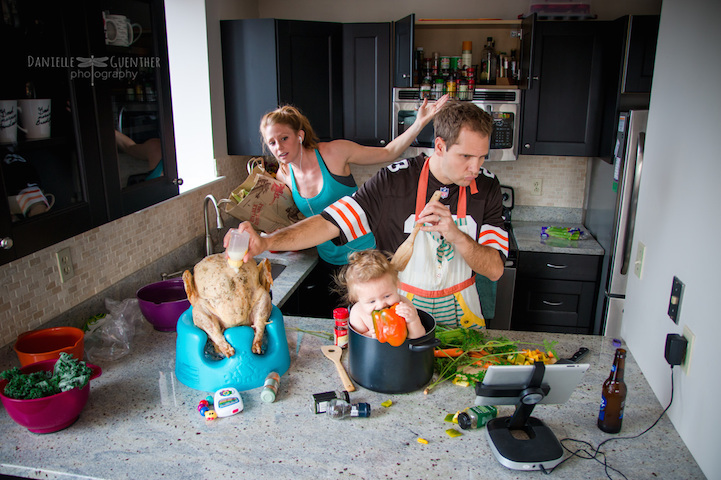 Although the images are humorously exaggerated, they capture many of the feelings that parents may experience as they try to balance everything from work and chores to sleep and childcare. 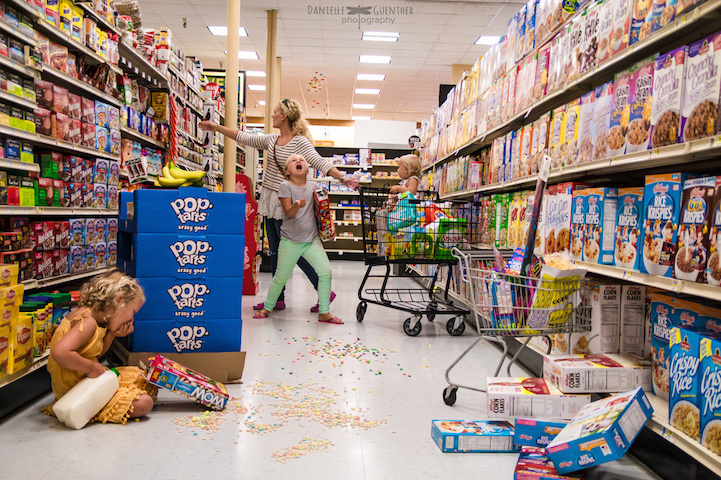 After seeing some of Guenther’s creative shots of topsy-turvy playdates, grocery aisles in shambles, and struggles not to wake a sleeping baby, other parents began reaching out to the photographer to request their own “chaotic portraits.” Since then, Guenther—a mother of one, herself—has been kept busy photographing the tender, hysterical moments of many different families.